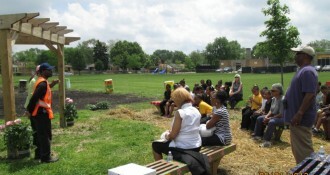 Compost Supply took part in the US Composting Council’s Million Tomato Campaign by donating compost for Dunn Elementary. They used the compost to plant tomatoes for their garden. Dunn Elementary are now set to receive an award for the garden on 10-3-2013.